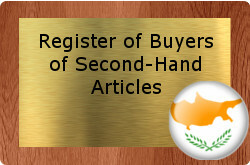 The Cyprus Organization for the Hallmarking of Articles of Precious Metals or Cyprus Assay Office (CAO), was created in 1991 and is under the jurisdiction of the Ministry of Commerce, Industry and Tourism. CAO is not a profit - making establishment but covers its expenses through the fees charged for Hallmarking. 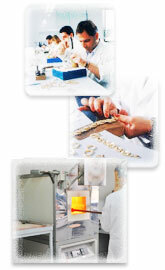 CAO's main objective is the development and promotion of Hallmarking for the protection of Public. CAO has been in operation since March 1995 in Larnaka industrial area. CAO is a member of the International Association of Assay Offices (IAAO) and a member of the Convention on the Control and Marking of Articles of Precious Metals (Vienna Convention, 1972). With this capacity CAO takes part in all meetings of the above Organizations. In order to meet all its objectives, CAO has implemented a Quality System which satisfies the requirements for the application of ISO 9001:2008.